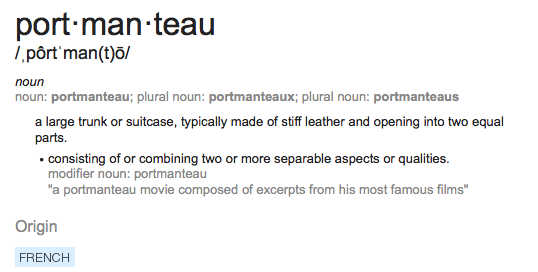 What is a portmanteu word? Lewis Caroll used the term to describe two words merged together to form a new one. His was thinking of the way the two sides of a suitcase are linked by a hinge.